Thread: I need all you guys to help me out. wait, did your brakes not work at all? or did you just lose your power brakes (making it very hard to press the pedal, but you were still able to slow the car)? I haven't worked on that side of the engine, but I know the master cylinder is over there, if a brake line cracked or broke then you'd lose brake fluid and use of your brakes. Can you brake with the car in its current state? yeah it just make the brakes really hard to press but i check the fluid level and it was fine. That looks like the vacuum line to your power brake booster. Power brakes use intake manifold vacuum for the power assist. Your brakes are hard to press because the power assist is gone. 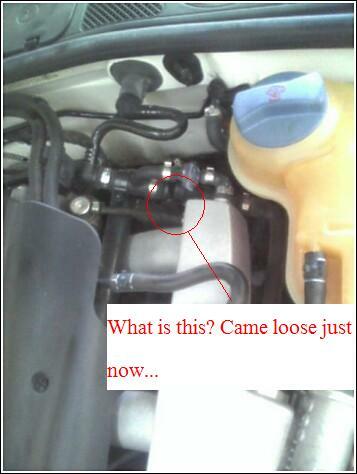 And the MASSIVE vacuum leak is causing your rough idle. I'd fix it before going anywhere. do whatcha gotta do.... maybe. 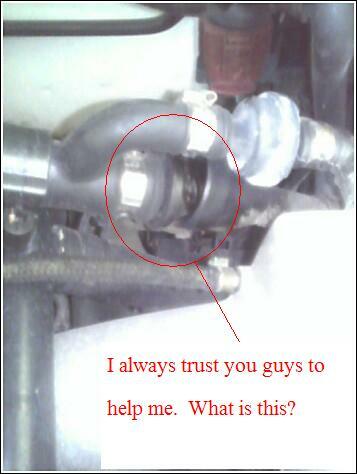 similar thing happened to my truck, ended up being a leaky master cylinder. I agree with "chaos on wheels"
he sure did. now how do i find out why my vacuum isnt sucking enough to hold his together. im guessing its a leak but i can't seem to find out where at all. now i hae it being help together by the zip tie and its working fine except of the loss in boost i am experiencing. worked all the way to dubfest. i won 2 dv valve and some madmat stuff in the raffle. changed the dv but stil acting up.